Hello. It's nice that you found me! I share my best stuff with my subscribers. Twice a month, I send out a story or a storytelling idea to over 5000 teachers. Some people have actually said that my posts brighten up their day. Personally, I couldn't possibly comment on that. So sign up below. (It's all free.) 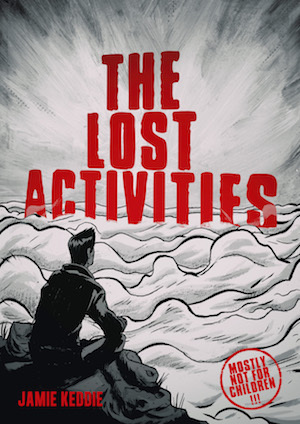 And as a bonus, I'll send you The Lost Activities. I look forward to having you on board. PS Don't forget to click the Email box below. I will use the information you provide on this form to keep in touch and provide you with updates and news about my courses, books, and other products. Please let me know how you would like to hear from me. PLEASE NOTE: YOU MUST CLICK ON THE BOX BELOW. You can change your mind at any time by clicking 'unsubscribe' at the footer of any email that you receive from me. Alternatively, you can contact me at hello@jamiekeddie.com. I will always treat your information with respect. For more information about my privacy practices please visit my website. By clicking below, you agree that I may process your information in accordance with these terms.